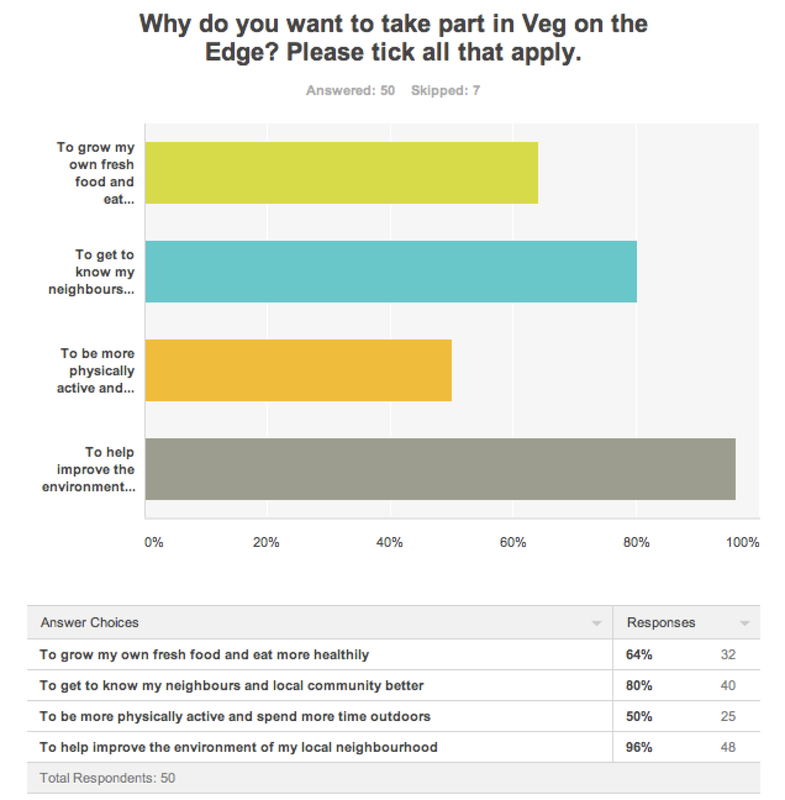 It was particularly interesting to see the enthusiasm for communal growing spaces, with 86% of respondents seeing these as essential. As a result we will definitely be creating shared areas, along with individual plots which are needed to encourage consistent use of the site. Another important consideration for many respondents was the inclusion of wildlife areas, with nearly 90% seeing these as a crucial element of the garden. We aim to be considerate of wildlife across the site and will be providing dedicated areas to support local biodiversity and native planting such as the Bog Garden, Meadow Areas, Bird Feeding Stations and Nest Boxes. We are now using this data and other feedback to refine plans for the garden, and it is also a brilliant basis to demonstrate the strong support for the garden to potential funders. Thank you again to everyone who came along and took part in the survey! This entry was posted in News on November 30, 2013 by Veg on the Edge.